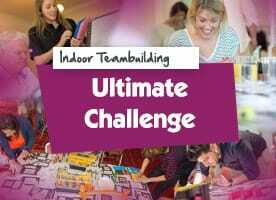 Hundreds of varied challenges to complete in the allotted time. 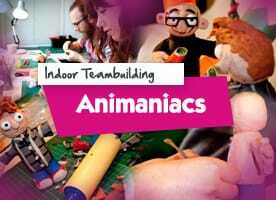 Create your own plasticine 'mini me' and film a 'stop-motion' animated film with help from our experts. 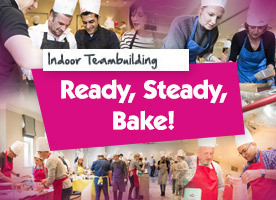 Roll up your sleeves and use loaves to create baked goods. 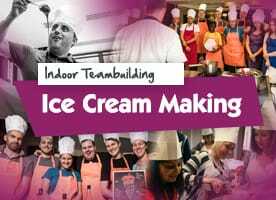 Put your team to the test to create a delicious new flavour and brand and sell the product! 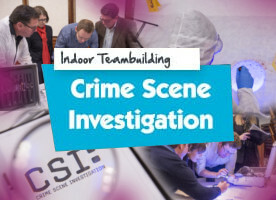 Dust for prints, use chromatography, black lights and genuine CSI techniques! 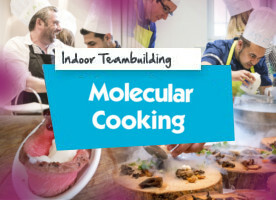 Harness the power of science and your creative mind in this culinary mash up! 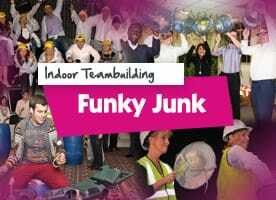 We bring the most random piles of strange household and garden junk and expect a show fit for the West End! 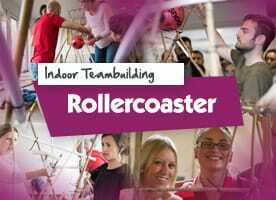 Team building events work as well when run indoors as they do outdoors. 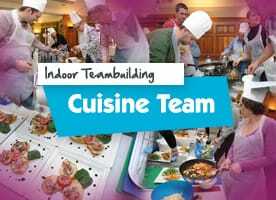 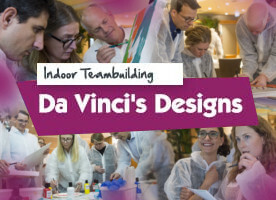 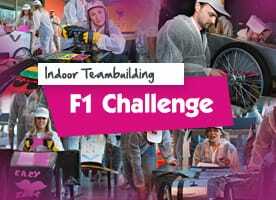 We’ve spent the last thirty years creating some really innovative and exciting indoor team building activities and events. 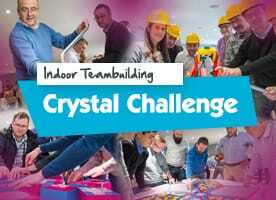 We’ve got an indoor version of our ever popular Crystal Challenge, with all new activities purpose built for smaller indoor spaces. 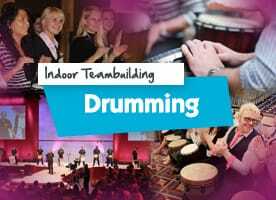 Bring out your musical flare in our energising Icebreakers – including Drumming. 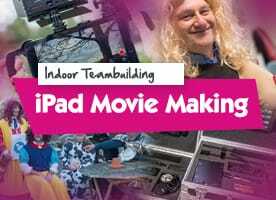 Have a go at making your own team movies using our top-spec iPads with your actors costumed from our extensive travelling wardrobe, or try animation using modelling clay in Animaniacs! 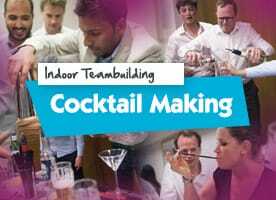 We have a vast selection of fantastic venues in London and across the UK. 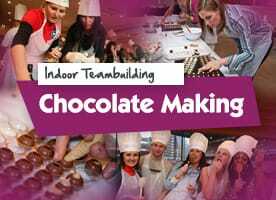 Having operated for more than 30 years we’ve worked with hundreds of venues and can recommend the perfect location for your event.